Is Chic Brodie the unluckiest goalkeeper ever to have lived? 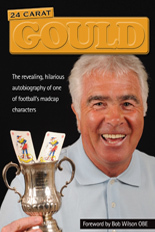 Having had the good fortune to once play in a 1961 Aldershot v Stoke FA Cup second replay at Molineux – and so have the chance to impress Stan Cullis – he went on to be blighted by several bizarre happenings that appear to prove fact is indeed stranger than fiction. Following a game at Carlisle in 1964, Brodie was struck on the knee by a stone thrown from the crowd and had to be carried off. In a match against Millwall the following year, he retrieved from his goalmouth a hand grenade that happily turned out to be nothing more sinister than a replica. 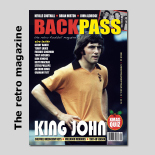 Then, near the end of a clash with Lincoln in 1970, he injured his back when he held on to the bar – and brought it crashing down – while tipping a cross behind for a corner. Even the ensuing 45-minute delay for the damage to be repaired paled into insignificance, though, with the incident that ended his Football League playing days a few months later. He was playing for Brentford in a 4-0 defeat at Colchester when he collided with an excited tiny white terrier that had run on the pitch – a mishap that left him with a shattered kneecap. “The dog might have been a small but it just happened to be a solid one,” Brodie lamented after admitting defeat in 1971 in his battle to recover. 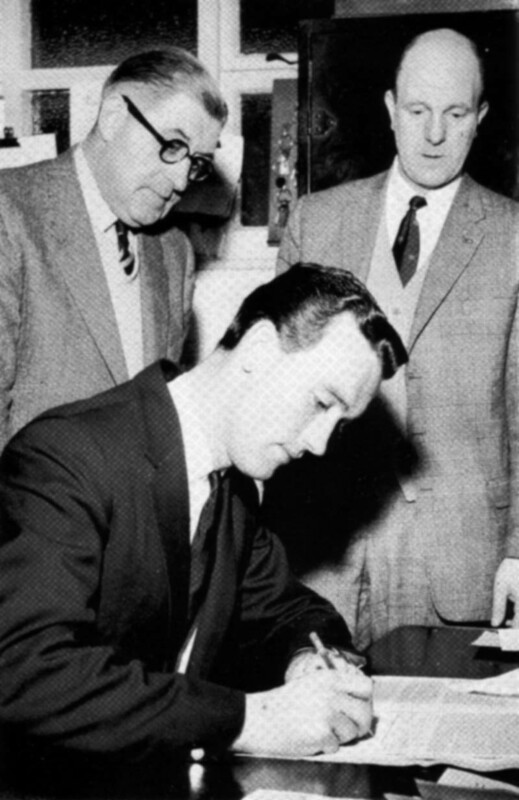 Molineux signing day in the presence of secretary Jack Howley and manager Stan Cullis. At least the Scottish-born Rangers fanatic made it to Wolves’ first team after being signed for £14,000 from Fourth Division Aldershot, the deal being set up in Cullis’s office within half an hour of the final whistle of the third Stoke-Aldershot clash. Brodie had also caught the eye as the first two meetings ended goalless but it was in an appearance for the Army against the RAF at Molineux a year earlier that he had apparently first attracted Wolves’ attentions. He was signed as a replacement for Geoff Sidebottom, who departed to Aston Villa a few days earlier, and found himself playing at Wolves’ famous home ground twice in the space of five days, for different clubs. As he sought to emulate the huge success of two other keepers the club had recruited from the lower divisions, Bert Williams (Walsall) and Malcolm Finlayson (Millwall), his solitary Wanderers outing was a memorable one. He replaced shoulder injury victim Finlayson in front of 38,526 in the League champions’ 2-1 home win against Manchester United on February 11, 1961. The senior man recovered in time for the next game, away to Tottenham, and Brodie was not seen at senior level again before being moved on for £6,000 the following autumn. The Gods actually smiled on him during a stay of around 100 games at Northampton and he then played more than 200 League matches for Brentford. But one more reminder of his somewhat cursed existence came when he let in 11 goals, including nine from Ted MacDougall, in Margate’s FA Cup tie against Bournemouth in the early 1970s. In happier times, Brodie had played five times for Scotland Schoolboys, in the company of Ron Yeats, Ralph Brand and others. He joined Manchester City in 1953, had Bert Trautmann as a mentor and put the German great’s advice to the test in a subsequent stay of around 20 senior appearances for Gillingham. He had Chris Crowe, John Barnwell, Alex Young and John ‘Budgie’ Byrne among his team-mates when he played for the British Army team and turned his posting at Aldershot to his advantage by signing on at the Recreation Ground in 1958. The Wolves connections keep on coming. It was Dennis Wilshaw no less who put two goals past him on the night Aldershot lost 3-0 to Stoke at Molineux in that 1961 fourth-round decider replay. And the keeper, who didn’t like his fuller Christian name of Charlie, had David Woodfield and Terry Wharton for company in his digs during a Molineux stay dominated by outings in the second and third teams. 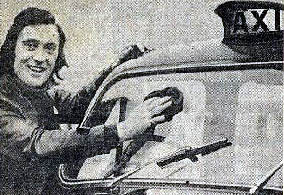 Brodie wound down his football with Wealdstone and Maidstone and embarked on a lengthy new career as a London cabbie. He died in 2000 at the age of 63 after suffering from cancer. Posted on: Monday, June 6th, 2011.